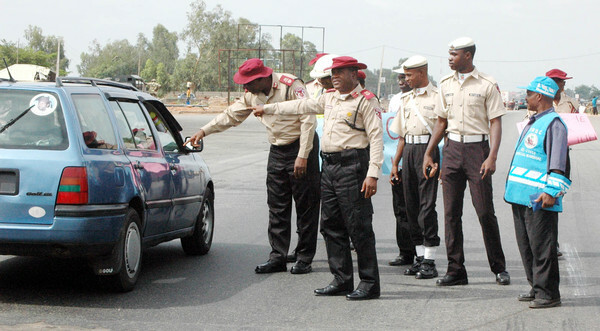 FRSC Releases Guidelines for July 1st Enforcement of Psychiatric Test for Life Threatening Traffic Offences - AutoReportNG "AutoReportNG-The No 1 Car Blog In Nigeria That You Can Trust - AutoReportNG"
The Federal Road Safety Corps FRSC) has released the guidelines for the proposed psychiatric examination of traffic lawbreakers in the country. Scheduled to begin nationwide on July 1, the test will focus on life-threatening traffic offences namely, use of a phone while driving, route violation, traffic light violation, dangerous driving and overloading. According to the Corps’ Public Education Officer, Mr Bizi Kazeem, offenders shall have their driver’s licenses withdrawn pending confirmation of their sanity or otherwise. Kazeem explained that the offenders would bear the full cost of the medical consultation, which shall be conducted at recognised public medical facilities. Meanwhile, some Abuja residents have lauded the FRSC for the move which they said was long overdue. One of them, Miss Ngozi Okafor, a civil servant, said the behaviour of motorists on the road especially in Abuja called for a check on their mental state. “Abuja is a place where the roads are too wide for motorists. They prefer driving on sidewalks meant for pedestrians.